Ovulation problems are a common cause of female factor infertility. Because Clomid works by stimulating ovulation, it is often the drug of choice. Some women use the drug alone, while others combine Clomid and herbal supplements. Talk to your doctor to find out if these options are right for you. Once a doctor determines a couple is infertile, she can perform a series of blood tests to determine the cause. These tests look specifically at fertility hormones, and can accurately determine whether a woman is ovulating. Pregnancy is impossible without ovulation, therefore a couple must address the problem if they wish to conceive. The drug Clomid increases a hormone known as the follicle stimulating hormone (FSH). This in turn stimulates egg production, which leads to an increased chance of pregnancy. Obstetricians closely monitor Clomid use, as increased risks of having a twin pregnancy exist among users. Stimulating a women's eggs might also cause the production of multiple eggs, which can in turn lead to higher risks of multiple births. For these reasons, and to avoid other potential risks and side effects, women should only use Clomid under strict medical guidance. Although the drug is available without a prescription, this is not advisable. For women desperate to become pregnant, Clomid offers hope. 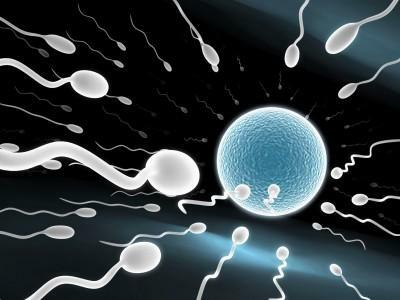 By increasing the chances of fertility in around 80 percent of users, some consider the drug worth its hefty price tag. Because users are cautioned not to use the drug for more than six cycles, some women combine Clomid and herbs to achieve greater chances of becoming pregnant. As a dual treatment, Clomid and herbal supplements can be highly effective, although women should realize that herbs only address the underlying pattern of imbalance. Herbs do not address a lack of ovulation, which is the reason women use Clomid. Yam - In the past, wild yam was used to create birth control pills. Today, the herb is sometimes used to increase fertility, although it's efficacy for this purpose is uncertain. Talk to your doctor to determine whether wild yam is a beneficial option. Red Clover - For general health, some herbalists recommend a cup of red clover tea every day. Couples experiencing infertility often use red clover because it contains many nutrients that are essential for optimum uterine health. It may also calm your nerves, allowing you to conceive faster. Lady's Mantle - Taking this herb once daily might help regulate menstruation. It is essential to have a regular cycle when trying to conceive, as this creates a stable timetable on which to plan the optimum time to get pregnant. This herb also stabilizes the uterus in preparation for implantation of the fertilized egg. Dong Quai - This herb is another hormone regulator. Best used in conjunction with other hormone regulating herbs, it is essential to use the herb only at the beginning of the menstrual cycle. After ovulation, dong quai can cause miscarriage if a pregnancy has been achieved. Black Cohosh - This herb is renowned for its use in combating menstrual dysfunction. It's also a common herb for reducing menopause symptoms. Vitex - Unlike the above herbs, vitex is known to counteract the actions of Clomid, and therefore should not be combined with the drug. Also known as 'agnus-castus' or 'chasteberry', vitex has been in use for centuries to support the female reproductive system and address hormonal imbalances. The herb remains popular today, according to the National Center for Complementary and Alternative Medicine. Although a host of positive literature exists to support the use of herbs for fertility, users should also be aware that some herbs can lead to undesirable effects.This is especially true among users who are already pregnant but might not be unaware of their pregnancy. To avoid harming a fetus or herself, a woman should always use Clomid and herbal supplements under the guidance of a qualified and experienced medical professional.